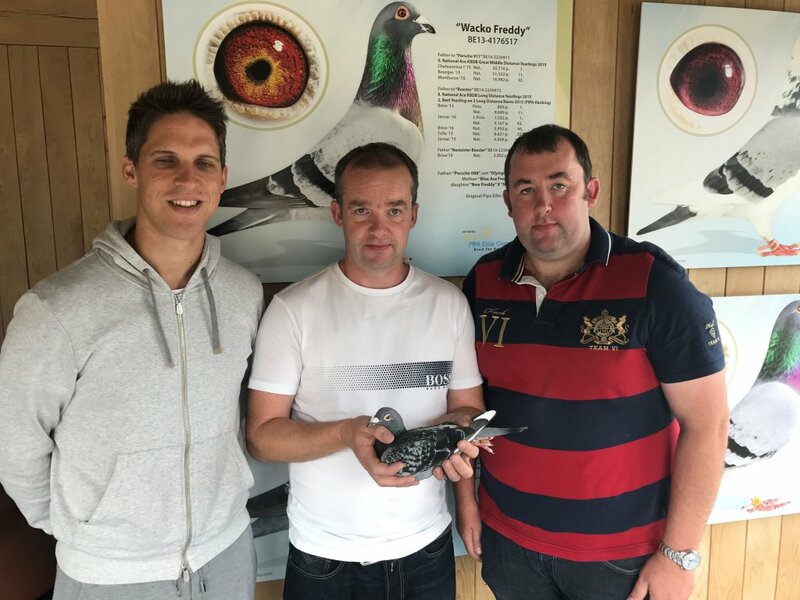 The record-breaking partnership of Gordon Brothers and Sons in Northern Ireland consists of Uncle John (who is now in his 80’s) and his two nephews Gary and Niall. Following the untimely death the lads father Benny it was obviously decided to keep the partnership name of Gordon Bros and Sons intact. The partnership compete in the East Down Combine (EDC) and the Northern Ireland Provincial Amalgamation (NIPA) and their main interest lies in racing down to the southern tip of Ireland – a distance of up to 400 km. 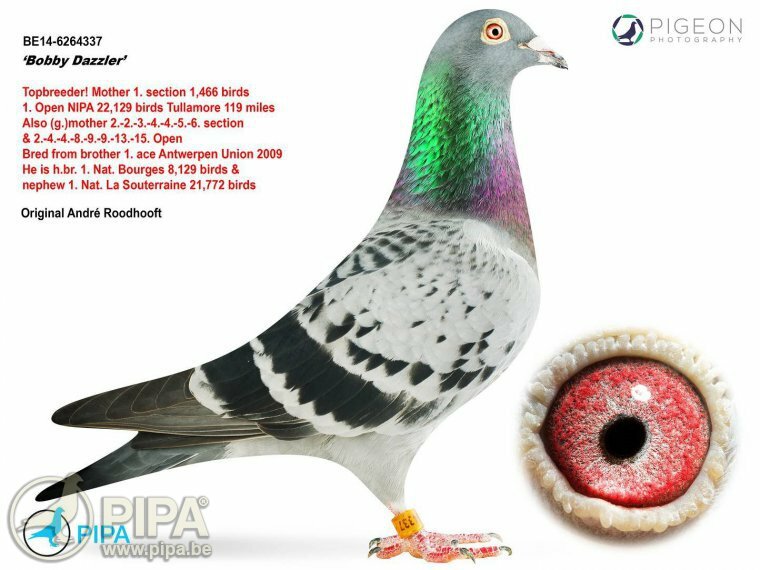 Click here to see the pedigree of Bobby Dazzler. Their rise to the top has been steady with approximately 30 x 1st Combine victories falling their way (up to approx. 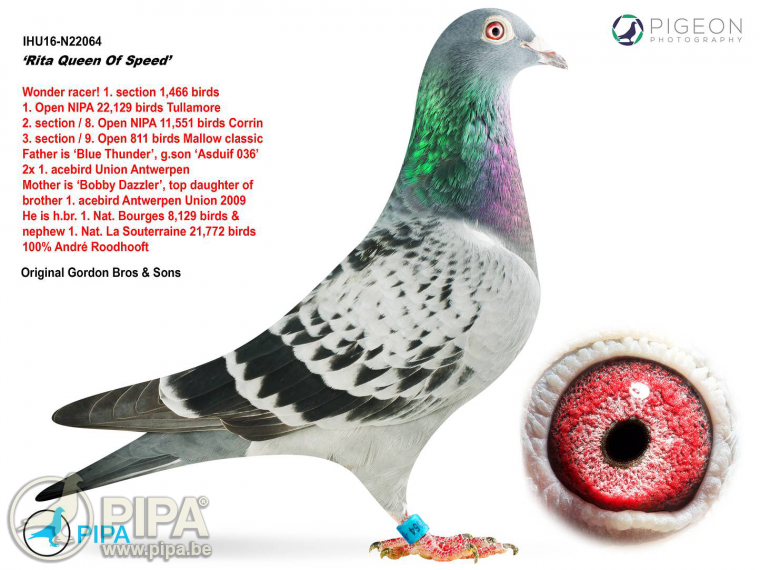 6,000 birds) and also 2 x 1st Open NIPA (up to 22,000 birds). In recent years the rise to fame has accelerated a great deal with record breaking performances in both organisations being achieved. These performances have been simply fantastic and often called “The Best in Europe”. Click here to see just some highlights of the racing season from Gordon Bros & Sons since 2016 – and please remember these are only the highlights! Check the pedigree of Rita Queen of Speed here. 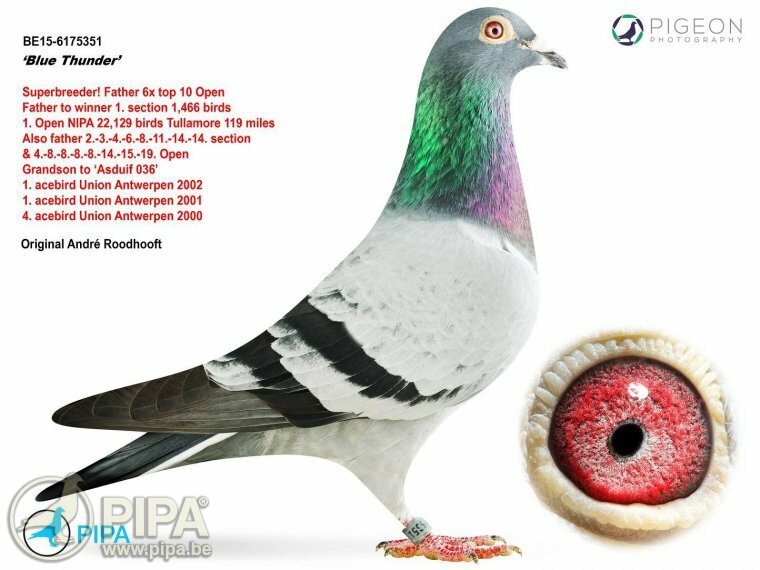 Offered in the sale exclusively on PIPA is a fantastic breeding niece of Leo Heremans “BOLT”, the fantastic racing machine “RITA – QUEEN OF SPEED” winner of 1st Open NIPA 22,129 birds and an elite team of Andre Roodhooft breeders that have produced many super pigeons. Take a look at the pedigree of Blue Thunder here.